One of the things RE/MAX Capital City has always prided itself on is bringing the best educational seminars/videos/speakers to its agents. There are ongoing SEO/Website workshops, monthly Lunch & Learns that cover a variety of topics, required continuing education on industry practices, and now Tom Ferry’s Sales Power! If you’ve seen Tom Ferry present then you know why we are excited that he has developed this program exclusively for RE/MAX. 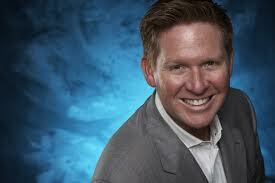 Tom Ferry is energetic, his information is current and relevant, and his delivery is inspirational. If you think you are going to get the same ole sales training with these modules you are going to be disappointed. You need to get your head in the game, embrace the market for what it is, and let’s make some money!